Extreme Networks has a strong skillset to grow businesses online. Unlike many online marketing “experts” we actually built our skillset growing successful online businesses, including; A 4x4 website which delivers 1.2 million page views per month; An online marketing toolkit with customers all over Australia and New Zealand; and Australia’s largest free online restaurant booking system. Our team are widely recognised as experts in online marketing. 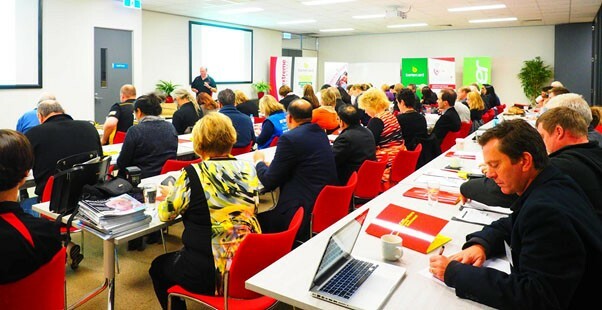 Our online and social media marketing workshops are usually sold out. 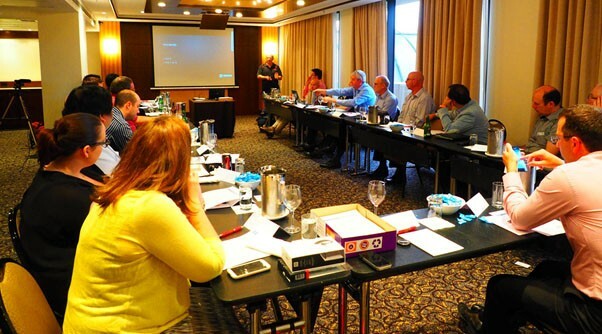 This Online marketing seminar had over 70 attendees. We understand online strategy. We aren’t like most online consultants, we actually build and make money from our online businesses. If you are looking at online as part of your strategy, we can provide the advice, skills and execution to take you online successfully. The internet empowers small businesses to dramatically increase their markets, find out how we help local businesses take their products Australia wide. Our online solutions have customers across Australia and New Zealand, we have been recognised as one of the most innovative Cloud based companies in Australia. We know, understand and use Government grants, R+D tax offsets and agile development processes to quickly build great online solutions. One of our online businesses receives over 6,000,000 page views per year. If you are looking to increase market share, acquire more customers or streamline processes by moving online, Extreme Networks can provide the advice, support and execution required. Getting a great looking website is not important. Getting a website that finds potential leads, builds a marketing database and converts leads into customers is. We know the difference and can help you build your business with a better strategy for your website. SEO, SEM, Social, EDM. We take the confusion out of online marketing. We will help you align your online marketing with your business plan and then execute on that plan. We use online marketing to grow our business, to find new customers in new markets and to dramatically cut our advertising and marketing costs. If you are still using print media or Yellow Pages, you are getting out marketed by your competitors. Online Marketing is cheap, effective and builds business quickly. Find out how today. Looking to build your business? Looking to cut costs, or looking to build efficiencies? Taking your business online can dramatically increase your target market, cut the costs of running your business and allow you to service more customers with the same resources. Why not talk to Team Extreme and find out what we have done for our business and how we can help your business move and grow online. If you are sending marketing emails out using Outlook, you will not be compliant with Anti Spam legislation. We can provide with a system that is fully complaint, and will also increase the effectiveness of your email marketing. Email marketing is one of the cheapest ways to build your business – make sure you are using it legally and most effectively. We can teach you how to quickly and easily send out emails to customers who are interested in your product so that you can create more leads, decrease sales time and increase revenue, quickly and easily. Call today to find out some of the lessons we’ve learnt about Email marketing. One campaign we sent out was so popular it crashed out server! That’s not ideal, but it shows how powerful email marketing can be for your business. Our team presenting to other IT Companies on growth strategies that work.